With the many options available, finding a tiramisu cake recipe that suites your skills as well as your tastes can be simple. This dessert is not too sweet, and its light texture and smooth feel make it a delight. Tiramisu is an Italian dessert which gained great popularity during the 1980s and 1990s, and has continued to keep the interest of foodies in the United States and Europe. The dish is not overly sweet, and has a lovely, smooth texture that melts in your mouth when prepared properly. The classic recipe calls for ladyfingers, but many replace this pastry with sponge cake as a doable substitute. Mascarpone cheese is a excellent substitute for custard because it is slightly sweet and light in spite of its richness. Some recipes use cream cheese, but this choice may change the texture of the dessert a little too much for some. The most popular liquid used to soak the ladyfingers or sponge cake is coffee, which makes it the ideal dessert for coffee lovers. However, traditional recipes for tiramisu may replace coffee with liqueur, such as amaretto, coffee liqueur or rum. 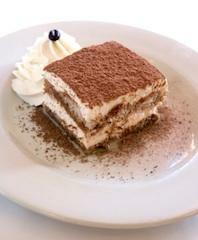 Keep in mind that tiramisu is a no-bake recipe and any alcohol you use will not lose its potency. The most common mistake that people make when making this Italian dessert is soaking the ladyfingers or sponge cake too long. The cake should not have a soggy consistency and should retain some firmness as well as its shape. A good tiramisu cake recipe should tell you specifically how long to soak the pastry. It is better to use cake or ladyfingers that isn't fresh. If you choose to take on the challenge of making your own, allow the pastry to become slightly stale before soaking it in the liquid. You have the benefit of catering the dessert to your specific tastes, and you can find simple recipes. Following are recipes for tiramisu, as well as challenges you can use. Nearly every recipe for this Italian dessert is relatively simple, and many versions are available that make experimentation alluring. This traditional tiramisu recipe adds body to the dessert by putting eggs and heavy cream in the mix. Epicurious has a classic recipe that adds Marsala wine for authentic flavor. The New York Times features a strawberry tiramisu for a fruity twist. Chef Tom Cooks blog offers a great recipe that doesn't use eggs. How can a no bake dessert be challenging? When it becomes a recipe that requires you to bake. Making your own cake or ladyfingers for the gourmet dessert is a true labor of love. Instead of collecting day old ladyfingers or leftover spongecake, you can opt to make the pastries from scratch. This changes the dynamic significantly, because you have to spend a day baking followed by preparing the tiramisu the following day. This ladyfinger recipe is a great choice that is fairly simple. A Victoria sponge cake is more challenging, but it makes a lovely pairing for the creamy dessert. Baking isn't the only way to challenge yourself. The Food Network features a recipe for the dessert that requires a little finesse, but yields excellent results. No matter how you choose to prepare this dessert, it is certain to make a splash when common mistakes are avoided. While this Italian dessert is a no-bake recipe, it isn't necessarily a no brainer. Creating your own pastries for the recipe is a way to test your mettle in the kitchen while making a dessert that is truly your own. If this dessert appeals to your tastes, try making cream puffs; they can be easier to make than you may think.